Home » Traditional » 40" - 49" » Arden 48"
The Arden sink vanity will bring your bathroom an upscale appearance. 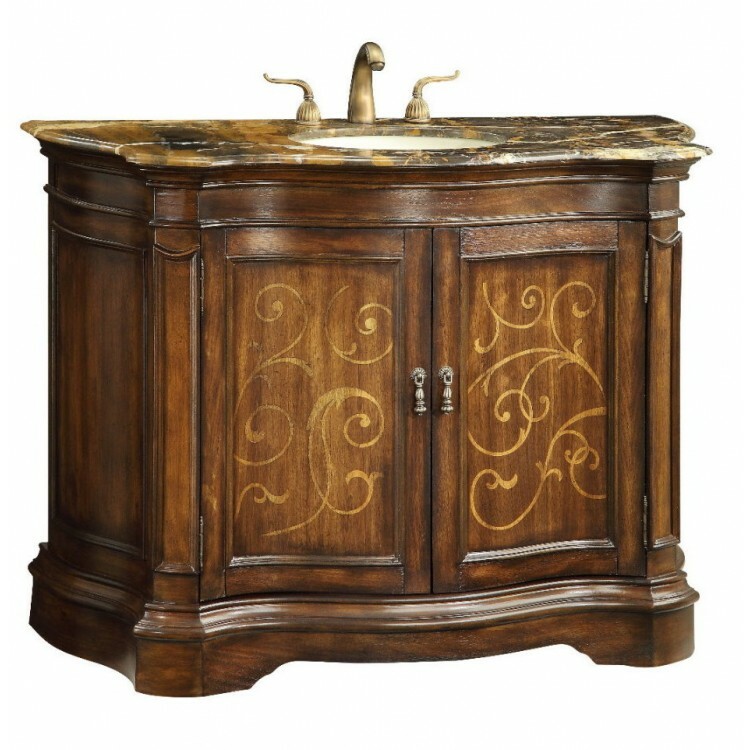 This stunning bathroom vanity sink will add style and grace to your bathroom decor. Features a hand polished eye catching black Grand Supreme granite countertop which is a rare find in the marketplace. It is the signature of master craftsmanship. Full of intricate detail to perfection. Constructed of solid hard sturdy wood and pattern veneer door paneling, hand painted motif adds a luxurious appearance.